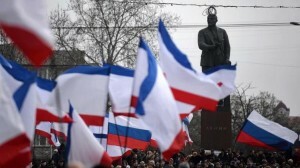 Hillary, staging her Russian Reset fantasy, belied by abject failure in Crimea’s Lenin Square. How can anyone be so naïve? How can anyone be so careless with America? How can anyone be so dismissive of the benefits of American strength? How could anyone allow America’s credibility to be so utterly destroyed? I’ll tell you how – President Barack Obama and Hillary Clinton did it after Obama was elected to demonstrate that Obama was right and how he was now in control. They wanted you to see with your own eyes that the world really is a safe place now, so no need for all those messy military weapons, plans or budgets. And of Sarah Palin, who predicted that Obama’s approach “would only encourage Russia’s Putin to invade Ukraine next. And of Republicans in general. They took a victory lap. Just like they wanted us to believe that there were no terrorists in Benghazi. Just like Hillary, the Grandmother of Obamacare, told us that there would be no new bureaucracy. Just like they promise to “pivot” to providing “jobs,” all the while eliminating them with regulation. Just like they promise to get to the bottom of the use of Obama’s own agencies – like the IRS, the FBI and the ATF – against their political opponents. Just like they promise to – oh hell, this could go on forever. You get the point. This should be the end of the error of Hillary and Obama. Get over it, media! You were had. What’s worse, you volunteered to be had! You were the ones that ended up being made fools of. It’s time to take Hillary and Obama off the table. For anyone else, such folly would mean THE END of their political career. It would mean THE END of their credibility. They would never be taken seriously by any serious person again. 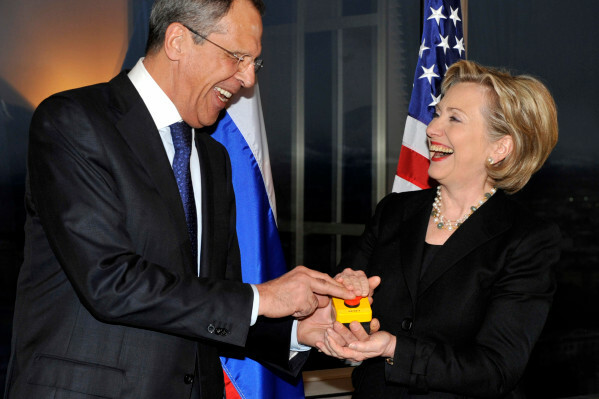 Ironically, the Russian word Hillary chose for “reset” turned out to be the most honest word of all – “overcharged.” Overcharged is right! It was a con, and she is the con artist. This should mean THE END of Hillary’s political career. No worries for her though – she can always join Bill on the lecture circuit. I hear there are lots of liberal “marks” there, and plenty of money to be made.